On Monday 3 September 2018, the European Parliament Committee on Civil Liberties, Justice and Home Affairs (LIBE) held a mini-hearing on minimum standards for minorities in the EU. The respect for the rights of persons belonging to minorities is one of the EU’s founding principles and the effective protection of minorities across the EU needs to be strengthened. ERGO Network Executive Director Jamen Gabriela Hrabanova was one of the experts invited to the hearing to give input to the Committee’s report on the topic. She pointed out that Roma and other minorities enrich the diverse cultural heritage of the EU; the protection of their rights, however, is currently not ensured. EU Member States have different definitions for minorities and apply different standards for their protection. There is a need for a common understanding and definitions, but also for ensuring the protection of minorities especially against discrimination and any forms of racism. The Roma Civil Monitor, a project issuing civil society shadow reports on National Roma Integration Strategies in 27 EU member states, shows that even where Roma are recognised as minority, respect of their rights is still lacking or the minority status is only granted for ‘autochthonous’ Roma and not those of migratory background. ERGO Network believes that the lives of minorities in every country are fragile; the policy frameworks on minorities are depending on political will and societal climate. For Roma the situation is even more difficult, as there is no home country standing behind them to support the growth of their cultural heritage and language or to ensure the full recognition and protection of their rights. The European Union is the safeguard that brings hope to many. Minimum standards for minorities should ensure rights to both ethnic and national minorities. They should also pay attention to intersectionality, especially when it comes to discrimination of LGBTI and people with disabilities. During the hearing, Gabriela Hrabanova furthermore expressed the importance of addressing antigypsyism as core problem for the exclusion of Roma. “Antigypsyism is not explicitly recognized in the relevant policy and legislative documents and antigypsyist crimes are often not seen as such by the responsible institutions”, says Hrabanova. 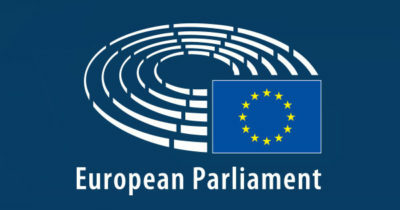 As stated in the European Parliament Resolution on fighting Anti-Gypsyism from 2015 and in the LIBE Committee Report on Anti-gypsyism from 2017 the situation of Roma is worsening and there is a need for urgent action to ensure the remedy of the centuries’ long discrimination and marginalization. Member states should take both proactive and reactive measures to safeguard equal access of members of minority groups to services, goods, information, etc. and to provide mandatory trainings to duty-bearers. But importantly, there will be no achievement without real and systemic consultations of minority groups at local, regional and national level to prepare, run, monitor and evaluate both minority specific and mainstream programmes in order to ensure their inclusiveness and non-discrimination.